The mesmerizing mosaic motif on CosmoLiving 's Illusion rug is a total game changer. Why travel to Italy when Italy can come to you? This geometric style is a totally contemporary take on Old World, classic design. 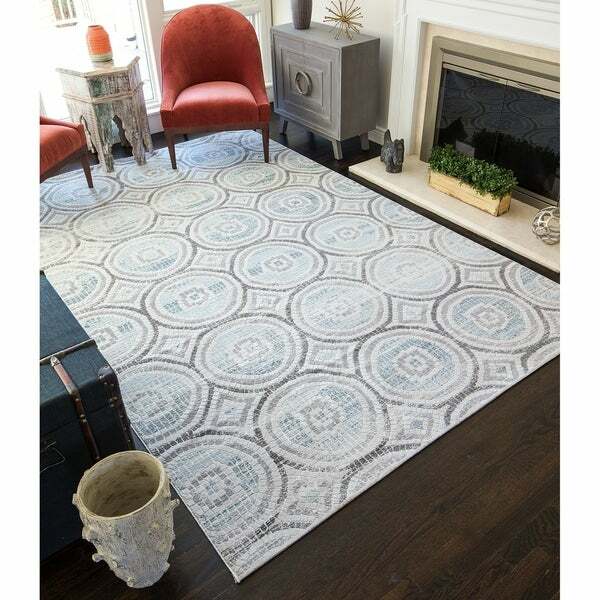 A mélange of gray, white, and light blue give it an overall airy feel and a definite excuse for a new rug.